The Magic City Invitational has arrived on our calendar, signaling the beginning of the indoor season. Athletes from Alabama, specifically, will descend on the CrossPlex in Birmingham to put down some fast times as the winter season begins in earnest. Breakdown: Tyynismaa is the most accomplished track and field athlete the state of Alabama has ever seen. 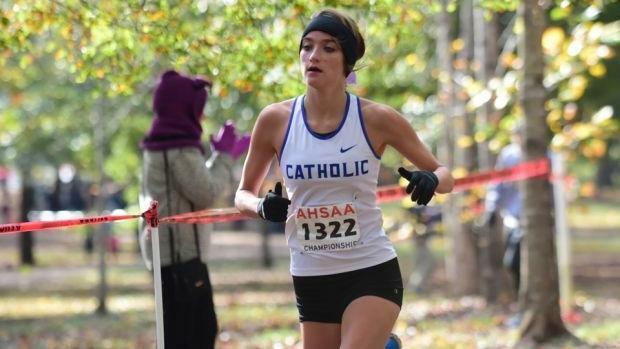 She's coming off her fifth straight cross country title in November and one of her best seasons to date on grass, where she produced a time of 17:44.21 for 5K at the Alabama State Championships. But Tyynismaa, an Alabama recruit, is now making the switch to indoor, where historically she's put down times of 2:16.91 in the 800m, 4:56.31 in the 1600m and 10:32.94 in the 3200m. The Alabama distance runner will look to improve on all of those marks in 2018-2019. Breakdown: A superb sprinter, Igbinoghene will jumpstart her track and field season in earnest with her appearance at the CrossPlex. The senior was largely one of her state's best athletes a year ago, but now the Alabama athlete could be on the cusp of national success with elevated performances in 2018-2019. She holds personal bests of 7.14 seconds in the 55m, 7.59 in the 60m, 24.48 in the 200m and 57.40 in the 400m. Igbinoghene will begin her season looking to go fast in the 400m. Breakdown: Stone finished his cross country career on grass as a 3-time state champion in Alabama. Now comes indoor, where he's put down personal best times of 55.17 seconds in the 400m, 2:03.15 in the 800m, 4:24.20 in the 1600m and 9:18.91. Stone is capable of much more this winter, and there's no question the senior has the ability to break all of those PRs over the next few months. Breakdown: The showcase race of Magic City will come in the girls 3200m, where Miles and Phelps are both emerging talents. Both finished their cross country seasons in Alabama with state championships, though Miles, a sophomore, broke 18 minutes and put down a time of 17:49.94 for 5K. Miles was just outside qualifying for NXN in a tough NXR Southeast Region, where she finished 17th in the championship race, but will look to begin her winter season with eyes on more PRs. This race should be fun. Miles has yet to run an indoor 3200m, while Phelps has an impressive 10:44.77 on her resume. Phelps is also coming off indoor state titles in both the 1600m and 3200m from a year ago, where she posted bests of 4:56.05 and the aforementioned time. In contrast, this will be Miles' first season where she'll be among the best in the state, so look for her to get off on a good note.